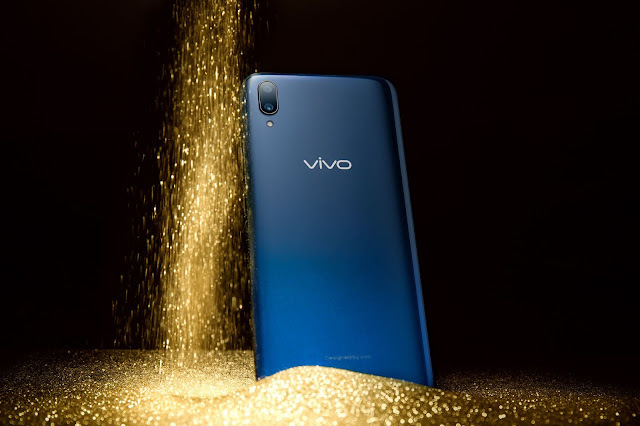 Filipino tech enthusiasts nationwide can now enjoy a futuristic and functional beauty at the palm of their hands with the launch of the Vivo V11 retailed at Php19,999. At this price point, the all-new Vivo V11 features an In-Display Fingerprint Scanning Technology—a first for the smartphone’s popular V series—on its Super AMOLED Halo FullView™ Display housed in a curved 3D body. With the V11, Vivo continues to prove that high-tech smartphones need not be unreachable in terms of pricing. This is true to Vivo’s desire to make high quality smartphones that most discerning would approve available to all. The latest Vivo smartphone is available in two stylish colors of Starry Night and Nebula that show the beauty of the cosmos. The Vivo V11, moreover, already has an impressive 12MP + 5MP dual rear camera and a 25MP front camera. But these hardware specs are further enhanced with the Vivo V11’s AI photography that introduces AI Backlight HDR, AI Low Light Mode, AI Face Shaping technology, and AI Portrait. The Vivo V11 also strengthened its AI capabilities with AI assistant Jovi. Supporting these incredible AI features, V11 is powered by the Snapdragon 660AIE processor with 6GB RAM + 64GB ROM, ensuring ultra-smooth performance. With these high-tech specs, Vivo V11 is surely the leading smartphone at its price point. The Vivo V11 is now available for pre-order on ground and online beginning September 11 until 20. When pre-ordered at a participating Vivo concept store or a multi-brand store, every Vivo user will get a gift set that includes bluetooth speaker, bluetooth ear piece, and selfie stick plus additional six months warranty. For online pre-orders, each will get a 10,000 mAh Game Powerbank; a gift set of bluetooth speaker, bluetooth ear piece, and selfie stick; and additional six months warranty for Lazada, Shopee, Argomall, and Akulaku shops. The Vivo V11 will be available for all starting September 21,2018.